Home / Other Stuff / First Post – Welcome To SilentPoints. Not sure how many people will read this but here goes the very first post on SilentPoints. This blog, in a way, is my attempt to “help” my dear readers on the field of technology. The posts which I will be publishing on this blog in the future will be based on my own experience. I will not post anything here which is fake or doesn’t work. The contents will be plagiarism free. What All I Messed Up With?- While Blogging? Let me tell you something about my online journey. I started my first blogspot website in July 2013 with free hosting and domain name (Didn’t go with a custom domain as convincing my parents to invest money on a domain seemed impossible for a 14-year-old me.). After a year of blogging with the Blogspot domain, I started getting interested in blogging much more. I went more inside to this field after learned how to monetize a blog. Though, it was 5-6 months later when I discovered it was possible to make money online. I still remember the $12 which I got from blogging for the first time through affiliate marketing. I started learning how to work with a blog with proper maintenance and really, I did a lot of research on that field. I tried to read every possible eBook on blogging. I basically read articles of blogging tuts from sites like ShoutMeLoud, Neil Patel, CatchUpdates, BloggerTipsTricks and even more. And I recommend them to you too if you are a newbie or want to start up blogging. While learning blogging I developed few other skills at that time which includes programming languages, Internet Tricks and Tips, Ethical Hacks etc. I was much influenced on the hacking field and learned a heap of fresh hacks. Though I will not be posting black hat hacking articles on SilentPoints. Earning money online and some more. I am Kreettanam Kaushik, the guy behind SilentPoints. 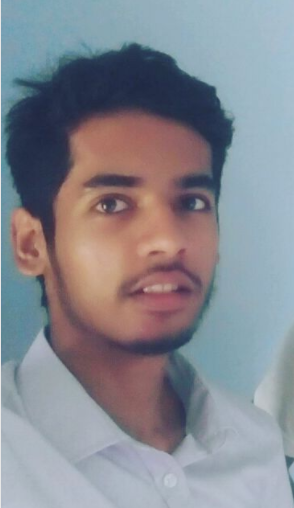 I am from Assam, India and is currently studying at Amity University. As for personal interests, I’m a huge football fan, I love watching UEFA champions leagues and playing football with my friends. In my free time, if I’m not blogging, I’ll be either Facebooking or be playing FIFA. That’s all of me. Thanks for reading. Hope you continue your support to SilentPoints as, without you guys, SilentPoints is incomplete. I really appreciate you all for the efforts you pour to the growth of SilentPoints. Got anything to say? Reach me on the contact us page. Just drop your message there and I’ll reply you asap. UPDATE 2: SilentPoints turned 2 years old. To be honest, I haven’t achieved much this year due to my academics. I’ll be writing a post about the journey in 3rd year. And I’m sure I’ll reach many more milestones the current year. Next Why Should You Start Your Blog? Best wireless Soundbar – How to choose one? This is Sara Johnson. I am a freelance writer and know how hard it is to write good quality content. However, I found your website suitable for my articles. All I want you is to contribute to your website, Can I have the guidelines and the criteria of getting this done? All the content provided will be original, of high quality, and without any plagiarism. Looking forward to a positive response. I loved browsing your blog. 🙂 The contents here are fresh and unique. By the way, can you please tell me more about your niche sites? Kreettanam you nailed it man. 🙂 Loved reading this.. I too will start blogging. My write ups are ready. Whoa! Loved reading this. Hope I too will be in your position one day! Keep going bro!